GPS-free navigation: The navigation of aerial and ground ve- hicles based on the GPS signal presents a major challenge for the general use of autonomous vehicles. The absence of the GPS signal can lead to catastrophic outcomes. We work on a feedback control design that allows a Dubins vehicle, which is a mathematicl model for limited turning rate vehicles and mobile robots, to enter a circular trajectory using only range based measurements from the vehicle to the center of the trajectory. Our work is based on a novel state space kinematic model with the state that is composed of two continuous and one discrete state variables. The evolution of the discrete state variable is not completely defined by the model and the control design has to deal with the ambiguity of this variable. Navigation with the avoidance of unsafe configurations: Long-time planning horizons are required to safely navigate one vehicle in the presence of another, possibly non-cooperative vehicle. They give rise to computational issues preventing the real-time implementation of safe navigation algorithms. We test our results in numerical simulations and small-scale robot experiments. The image on the right shows snapshots of an experiment in which two robots safely navigate around each other until one of them succeeds to enter safely a circular sector behind the other robot. This sort of experiments help us advance the field of autonomous navigation. Microrobotics: In the core of the promise of using microrobots for diagnostics, surgery, drug delivery and other potential medical applications is the design of microrobots that can be manipulated in physiological environments. Our work has been focused on modeling and controlling a 10um swimming robot, the so-called achirial microswimmer, composed of firmly connected magnetic beads which can be propelled through a fluid environment by a roational magnetic field. Control of a mini segway (MinSeg) device: This device is composed of an NXT Lego motor driving the wheels and an Arduino board with a shield that has a solid state gyro. The motor encoder measures wheel rotations while the gyro measures the turning rate of the board. We derived dynamic systems equations, performed numerical simulations, and designed a digital control that achieves balancing the two-wheel mechanism. We continue to use the device as an experimental platform for advanced control concepts. 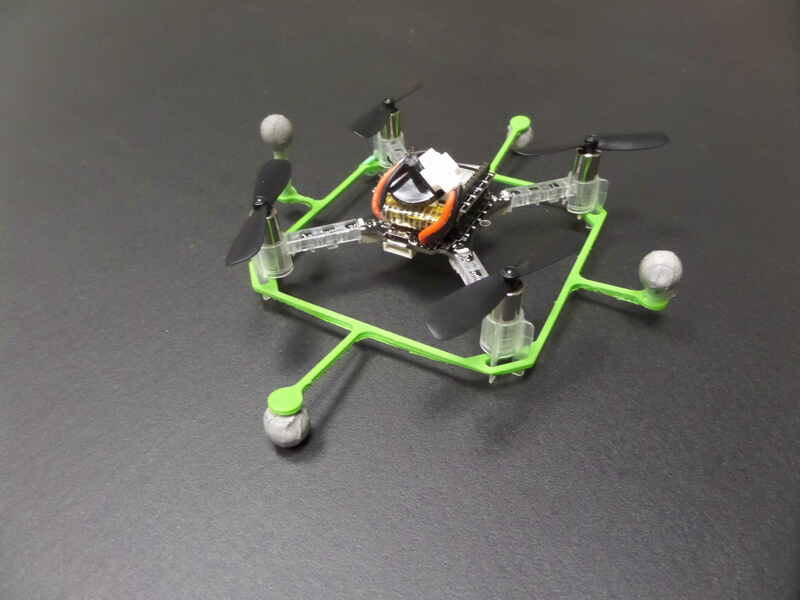 Miniature quadrotors are attractive systems for experiments with an advanced control concept. Our work is focused on a feedback, off-board control of quadrotors that fly with an off-the-shelf on-board controller. The presence of the on-board controller completely changes the original quadrotor dynamics, which requires the off-board control to be robust,or adaptive to changes. 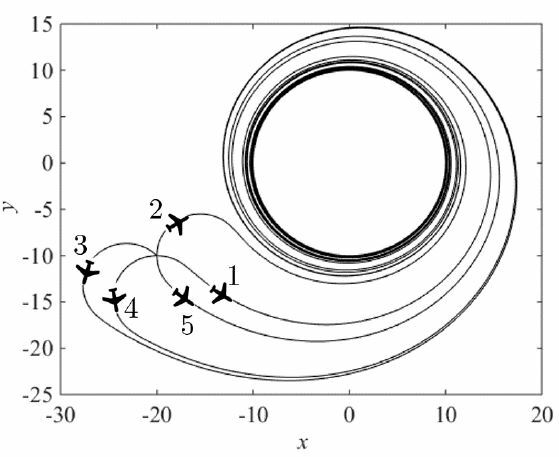 Multi-vehicle formation stochastic control: The illustrative movie on the right (link) shows five differential drive robots navigating into a formation. The unique property of the implemented control algorithm is that it anticipates the uncertainity of teammate navigation. We implement the Kalman smoother for computing the control based on a path-integral approach. The early version of this work received the best student paper award at the DARS 2012 symposium. Dubins vehicle stochastic control: We use stochastic processes to model any lack of data resulting in a dynamic uncertainty, for example, an unknown target trajectory, or even a disappearing target. These stochastic models are integrated in a feedback control that anticipates the uncertainty. Follow the (link) for an animation illustrating our work on a Dubins feedback control for stochastic target tracking. The same controller robustly follows the target that goes along a straight line (link), sinusoid (link), or complex path (link). For a control under the presence of a stochastic wind, follow the (link). Rehabilitation robotics: Understanding the relation between manipulator design, workspace and performance is important not only for a robot manipulator executing a complex task, but also for wearable robots closely interacting with human body movements, which can be used in stroke rehabilitation. So far we have studied healthy human arm movements, grasping and joint coordination in reach-to-grasp movements. We also proposed novel methods for measuring the dissimilarity of movements based on mapping the complexity between arm trajectories and a low-dimensional dissimilarity analysis. This research contributes with a quantitative analysis of high-resolution trajectory data for the purpose of diagnostics, as well as therapy planning. Joseph Grant, 2018, MS, "2-D Lidar Slam with V-REP Simulated Robot"
Alex Aranburu, 2018, MS thesis, "IMU Data Proceessing to Reconize Activities of Daily Living with Smart Headset"
Brad Thompson, 2017, MS, "A Study of Reinforcement Learning Improvement of Dubins Vehicle Circumnavigation Based Upon Range Measurements"
Constraints and Generation of Optimal Taxiway Schedules"
Jacob Stelzriede, 2018, B.S. thesis, "Navigation with Cozmo Modeled as a Two Wheeled Robot"
Tracking Controller for Photovoltaic Systems"
Javier Ruiz, 2017, B.S. 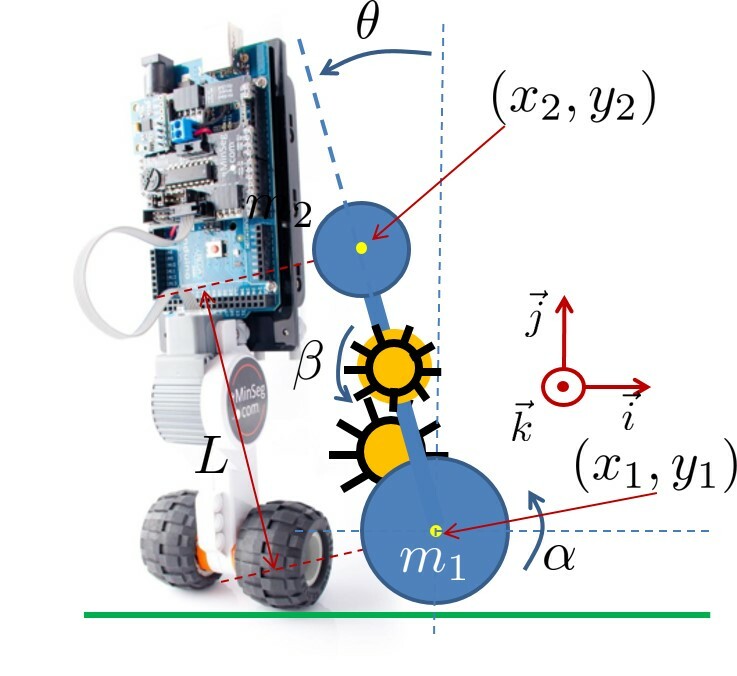 thesis, "Control and Estimation of a Self-Balancing MinSeg Robot"
Alexey Munishkin, 2016, B.S. thesis, "Control of a 'Desktop' Quadrotor"
Patients Performing in a Circle-Tracing Experiment"
Olivia Carey-de la Torre, 2015, B.S. thesis, "Modeling and Control of a MinSeg-like Robot"